I’m not much of a cook, but when I saw a pressure cooker at Costco it looked quite appealing considering you could simply prep the food and then it would cook itself... right? This was my first attempt at using the pressure cooker and I chose this Apple Balsamic Chicken from Taste of Home’s Magazine. The chicken turned out soooo tender, so delicious. 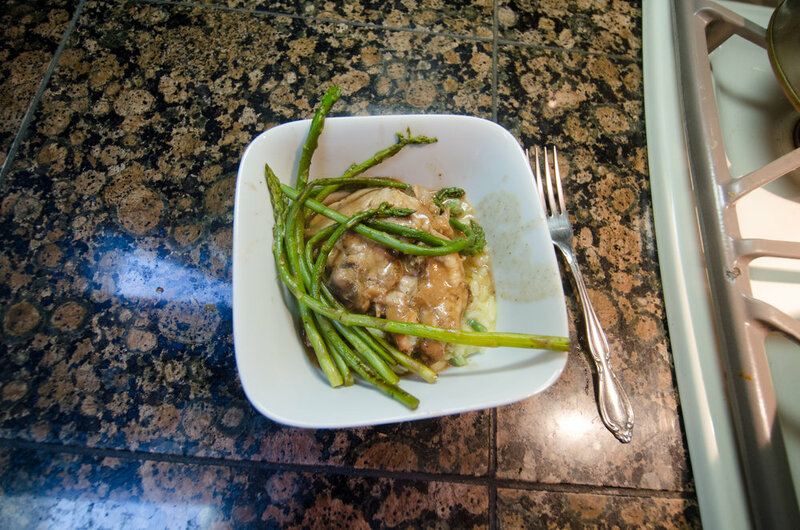 This dish goes great with asparagus and risotto (Shoutout to heating up Trader Joe’s Risotto). My first experience using a pressure cooker was easy; both prep and cleaning. 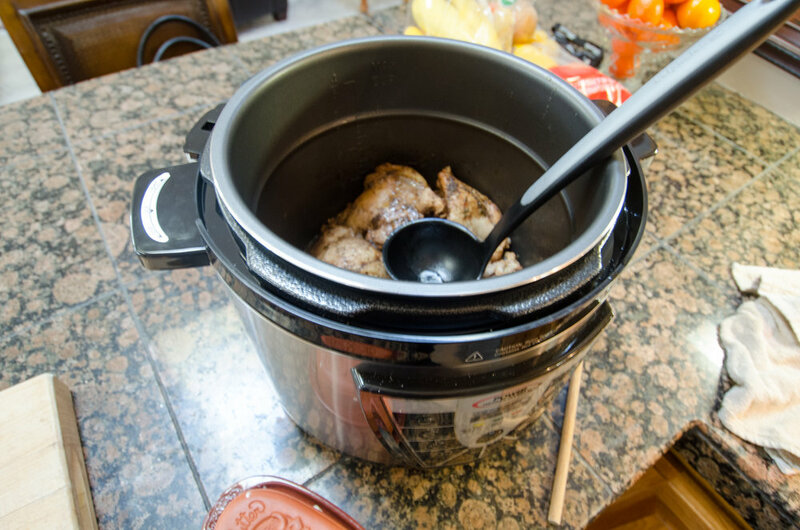 It was such a good experience that I made chicken the next day with the Pressure Cooker. All I did was add some chicken broth and a few spices. Super easy! Below is the Apple Balsamic recipe. I doubled it to make 8 servings. Place chicken in a 6-qt. electric pressure cooker. In a small bowl, combine the next nine ingredients; pour over meat. Lock lid; make sure vent is closed. Select manual setting; adjust pressure to high, and set time for 10 minutes. When finished cooking, allow pressure to naturally release for 10 minutes, then quick-release any remaining pressure according to manufacturer’s directions. Remove chicken; keep warm. Skim fat from cooking liquid. In a small saucepan, melt butter; whisk in flour until smooth. Gradually add cooking liquid. Cook and stir until sauce is thickened, 2-3 minutes. Serve chicken.